Photographer, mixed reality director, and co-founder of VRScout, a leading immersive media company. A pioneer of mixed reality capture and live drive animation, VRScout has evolved the way immersive technology is applied to content production and live event activations. 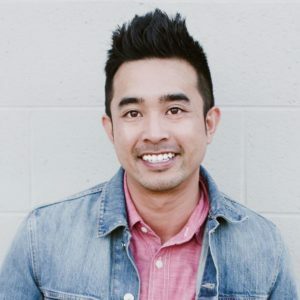 Prior to co-founding VRScout, Jonathan spent over a decade leading digital content strategy teams, working with brands like Nike, Refinery29, Honda, Toyota, Audi USA, Sheraton, and Sony Playstation. Jonathan’s photography has been featured in the LA Times, Daily Mail, The Guardian, Forbes, Buzzfeed, and Mashable. As a photographer, he’s been featured in national ad campaigns for Ford and T-Mobile, as well as a starring role in a social media reality series for MSN. Business Insider named Jonathan as one of the “Top Instagram Users that Advertisers are Dying to Work With” as well as “Most Creative People in Social Media Marketing”.